Kristin Lovejoy is the CEO of BluVector. Prior to her role at BluVector, she served as general manager of IBM’s Security Services Division, charged with development and delivery of managed and professional security services to IBM clients worldwide. In addition, she served as IBM’s Global CISO and VP of IT Risk. Kris is a recognized expert in the field on security, risk, compliance and governance, with appearances in Forbes, CNBC, NPR and USA Today. 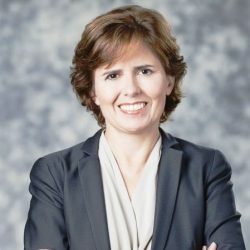 Within the past five years she has been recognized as 2015 SC Magazine Top 25 Security Managers, 2014 SC Magazine Power Player, 2012 Compass Award Winner by CSO Magazine, one of E-Week’s 2012 “Top Women in Information Security That Everyone Should Know”, Top 25 CTO by InfoWorld, as Top 25 Most Influential Security Executives by Security Magazine. She also holds U.S. and EU patents for Object Oriented Risk Management Models and Methods. Additionally, she is a member of numerous external boards and advisory panels, including SC Magazine’s Editorial Board and Grotech Ventures. In this episode we discuss her start information security and risk, what worries her about the RSA conference, AI and Machine Learning – and what it means for security, emerging threats, advice for CISOs, communicating risk management, and so much more. Very interesting post. Thank you for giving me good insight into security companies.